Did you know that a planned life is a successful life? I am a control freak (did you know?) and everytime I start doing something, I gotta have everything planned perfectly, but as something happens and my plan is ruined, I’m like “okay, whatever…” and I give up. For example, when I had to study for an exam, I used to write down on my diary how many pages I’d study per day but if one day I couldn’t study for some reason, my plan was completely ruined so as I usual I ended up stuying 200paged the last 3 days before the exam -.- . 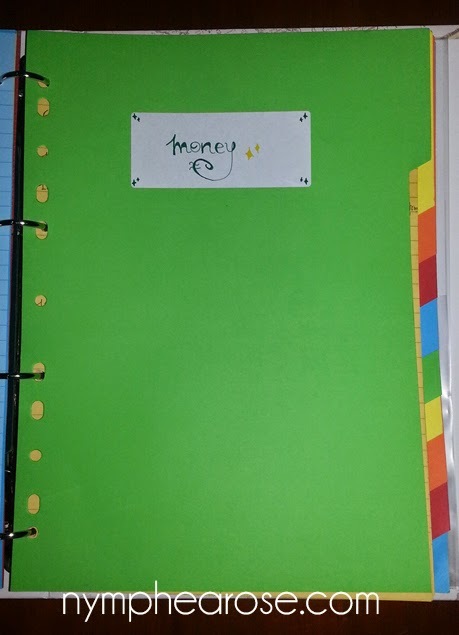 Well, I finally found a solution to plan my life without stress! 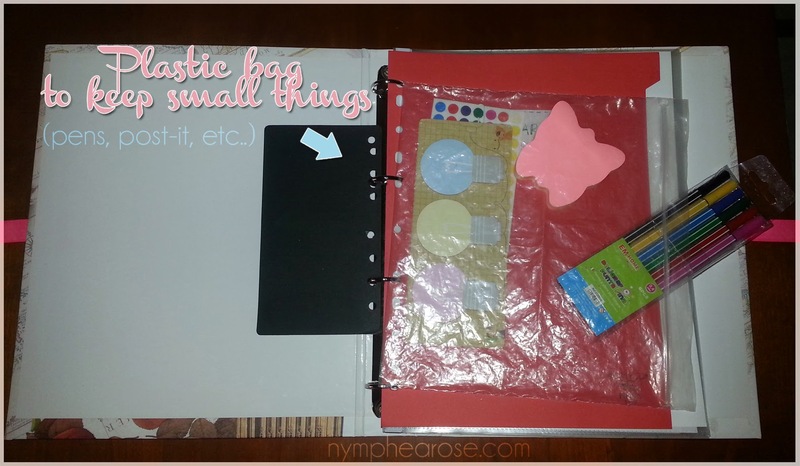 Why haven’t I bought a ready-to-use planner like Filofax’ or Erin Condren’s? 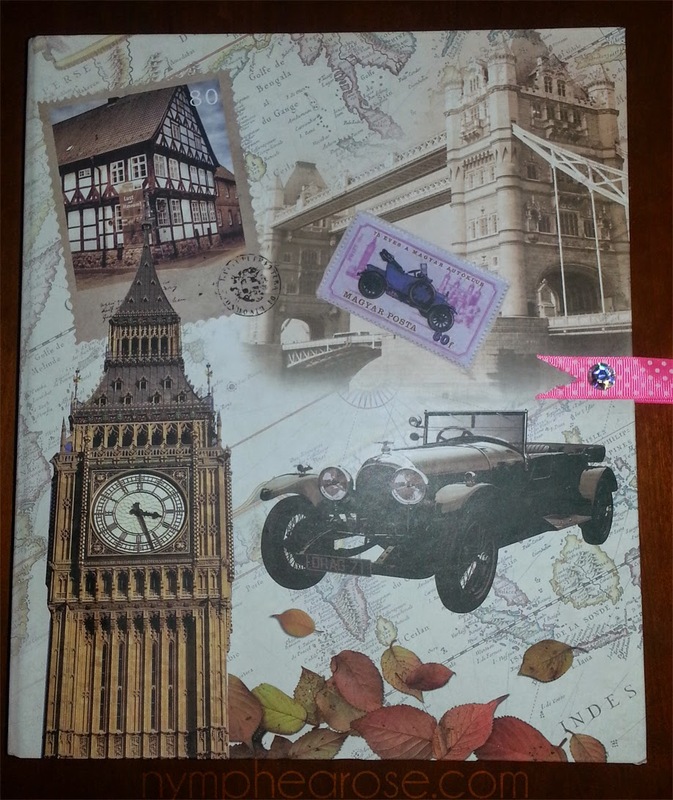 Well, I want my planner to last more than 12 or 18 months and I want to customize it completely and of course mine is cheaper ! 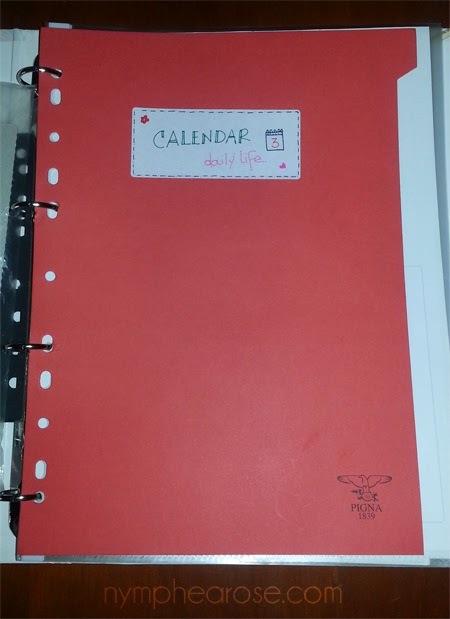 This is my planner from the outside, I added a cute polka dot ribbon to make it look more feminine. 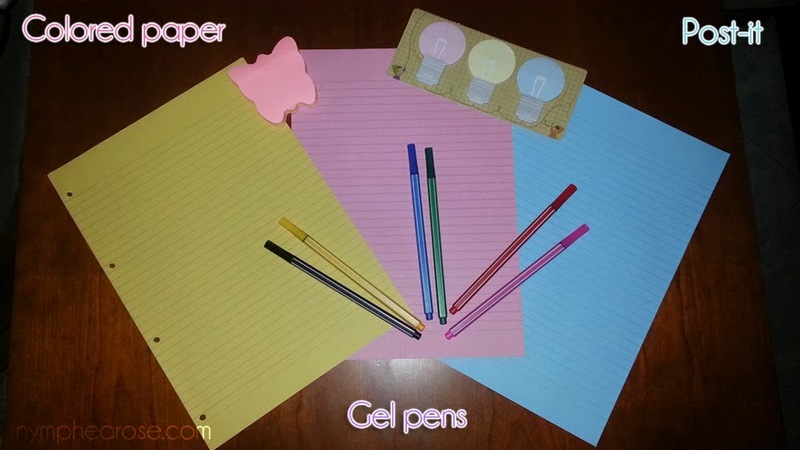 To customize the planner I bought colored gel pens, papers and cute post-it. 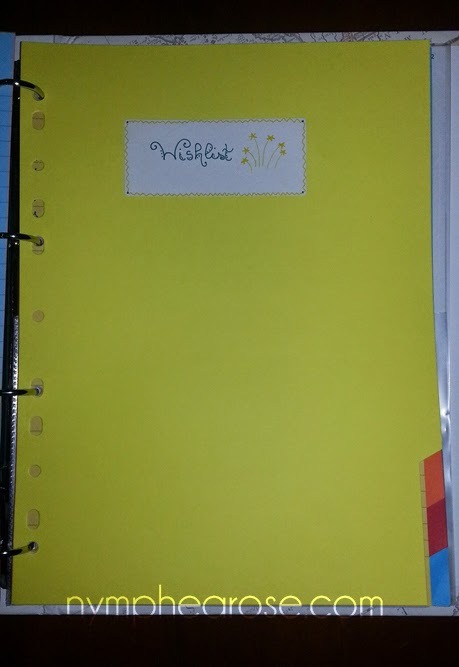 …and I added the titles with white stickers that I attempted to decorate. 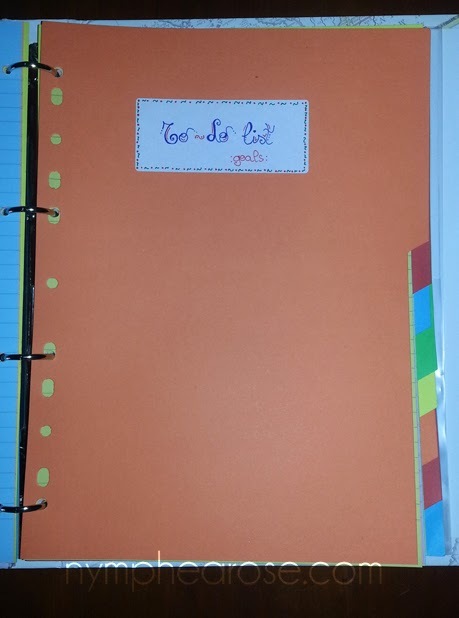 In this section I have a list for things to do and my goals. This is the most important section, in my opinion, because setting goals gives a great motivation to reach higher and higher goals. Once we have set the lifetime goal, we have to start from small goals, like short-time goals, and as we reach them, we’ll be one step closer to the ultimate goal! We want to loose 10 kg in 3 months, well yes I can set this goal… but days, weeks and months would pass by and I’d probably miss the goal cause I’d have nothing to motivate me all the way through it, so what? We’d set 6 small goals: we are going to loose 1.5kg every two weeks, that’s easy, isn’t it? In the end, we’d have reached our ultimate goal staying focused thanks to the short-time goals. 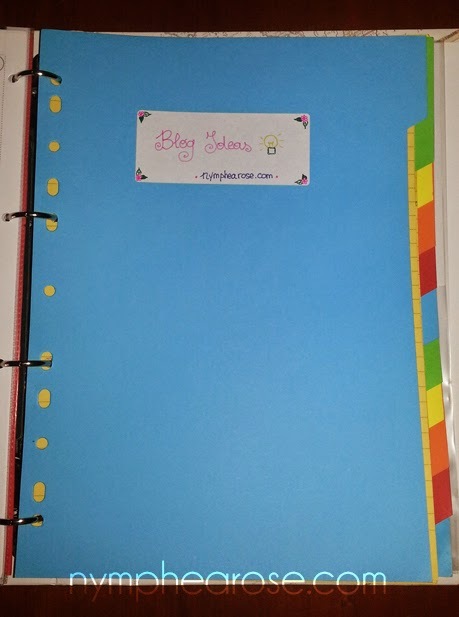 ps: Of course my planner isn’t completed yet, that’s why this post will be updated soon with all the new ideas I’ll come up with!